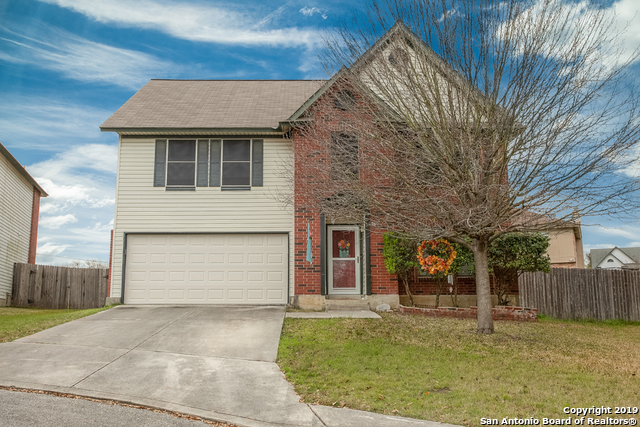 All REDLAND WOODS homes currently listed for sale in San Antonio as of 04/18/2019 are shown below. You can change the search criteria at any time by pressing the 'Change Search' button below. "Spectacular 2 story home in the heart of Redland Woods. Spacious living/dining room. Stained concrete floors. Beautifully upgraded granite counters and painted cabinets. Granite island overlooks the breakfast area. Owner's suite features an over sized bedroom & wow luxury bath. Nice cul de sac lot. Mature trees (Bradford pear and Monterrey Oak). Covered patio ideal for entertaining, storage building included. Walking distance to the community playground and sports court."